This model of Critical Caring theory represents more of an evolution in the graphic depiction of the model than in the theory itself. The color and artwork better depict the metaphor of the tree and are more suitable for the web than the previous black-and-white diagram and results, hopefully, in more legible text. 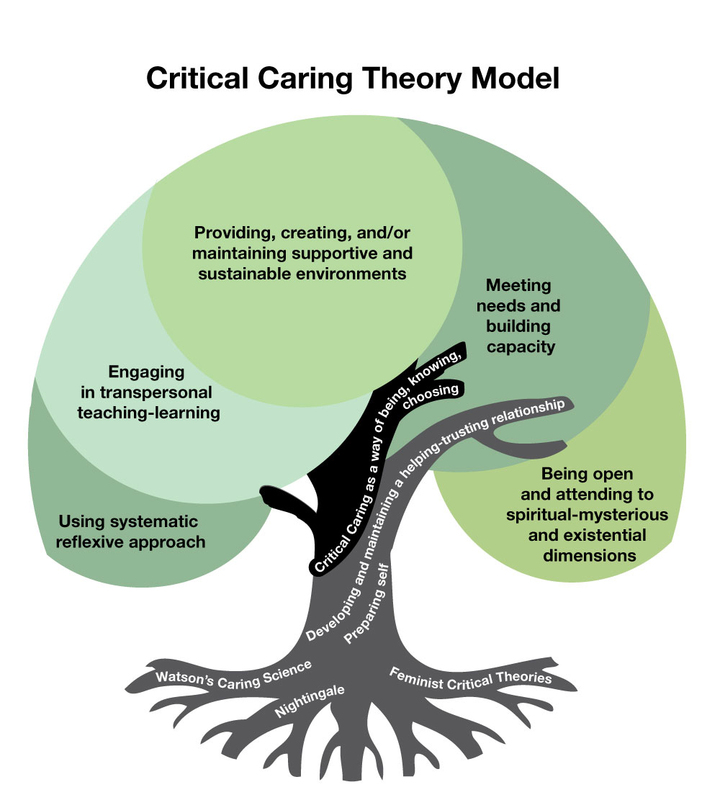 As in the previous model (published in ANS 35:4), the trunk of the tree, which supports the praxis branches, is comprised of the tenet of Critical Caring as a way of being, knowing, and choosing, along with 2 carative health promoting processes. The shading and positioning of each is helpful both in differentiating the carative processes from the tenet and in emphasizing the centrality of the latter. I believe this model brings the elements of critical caring into focus, and helps to comprehend the whole of the process that the model represents. Many thanks to Dr. Falk-Rafael for providing this update!